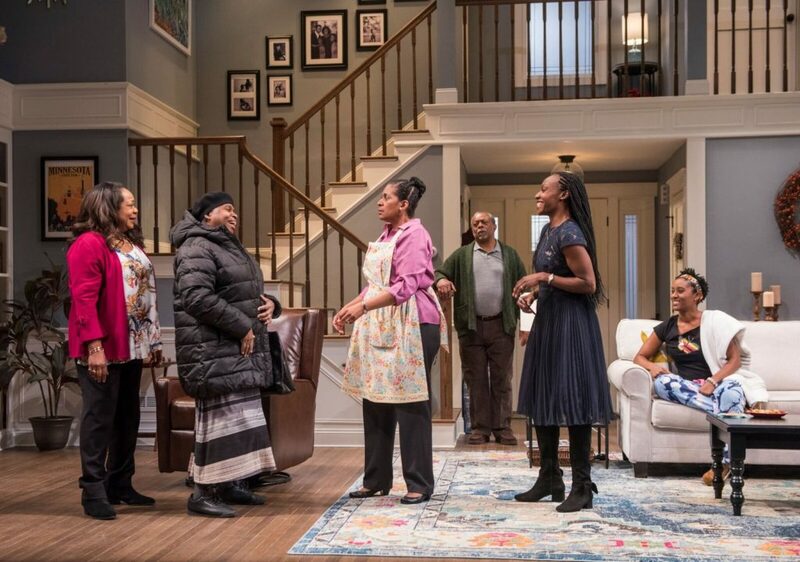 Playwright Danai Gurira introduces us to a somewhat typical Minnesota family. 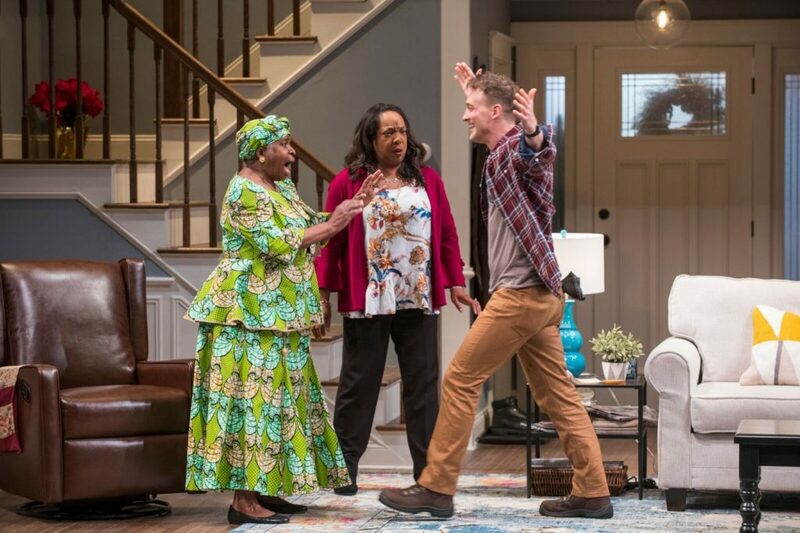 The Zimbabwean-American parents (played by Ora Jones and Cedric Young) bicker over TV. 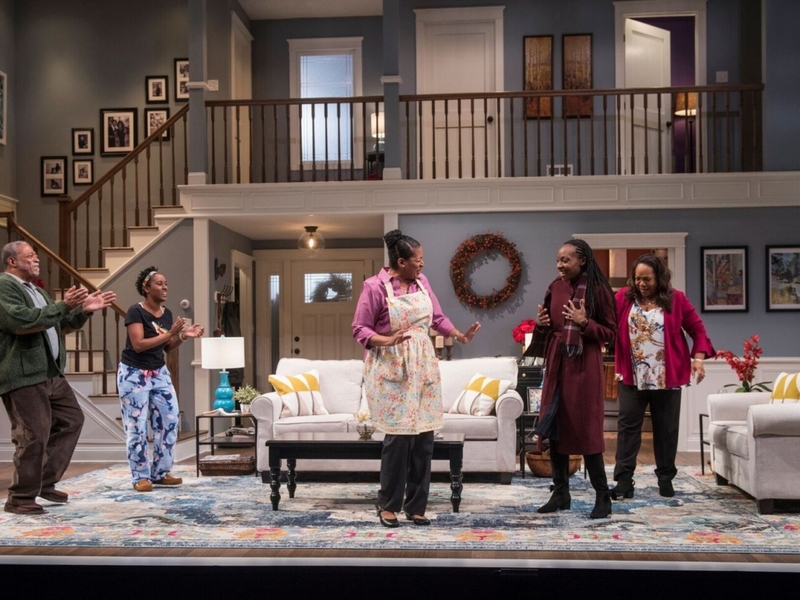 Their free-spirited daughter (played by Celeste M. Cooper) ruminates over the family not reading her blog. Their eldest daughter (played by Lanise Antoine Shelley) has become a fervent Christian. And she is about to marry a white boy (played by Erik Hellman). The set-up hints at a guess-who-is-coming-to-dinner romcom. Although Gurira’s dialogue crackles with humor, it all feels fairly… familiar. The almost frothy first act ends with madcap hilarity. During intermission, I muse that the show is ’s’cute’. Then, the second act gets unexpectedly poignant with the unraveling of secrets and identities. The love and pain is so palpable that I’m moved to tears. 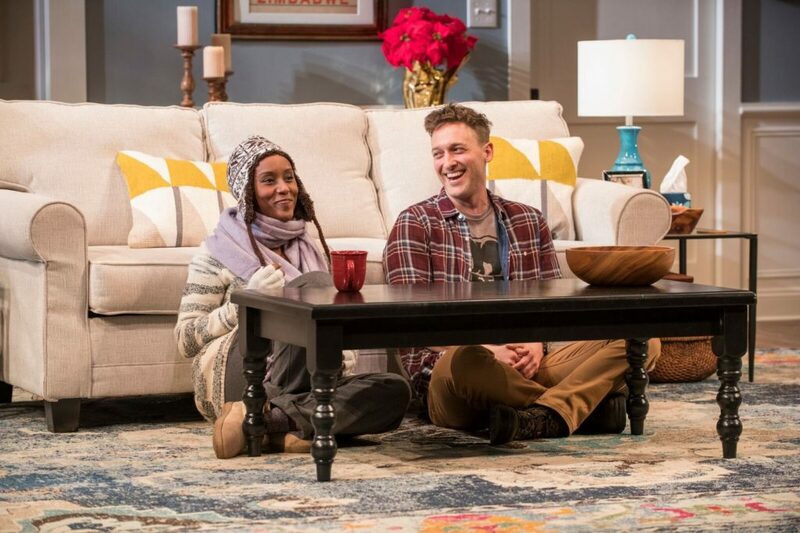 Gurira teases us into feeling at home in Minnesota. The house is bursting with the familiar loving annoyance of family. Under the masterful direction of Danya Taymor, the comedy and drama are harmoniously heightened. A chase scene between Shelley and Hellman equally showcases desperation and slapstick. A regular solicitor of laughs, Luigi Sottile (Brad) bonds with Cooper over being the families’ disappointments. 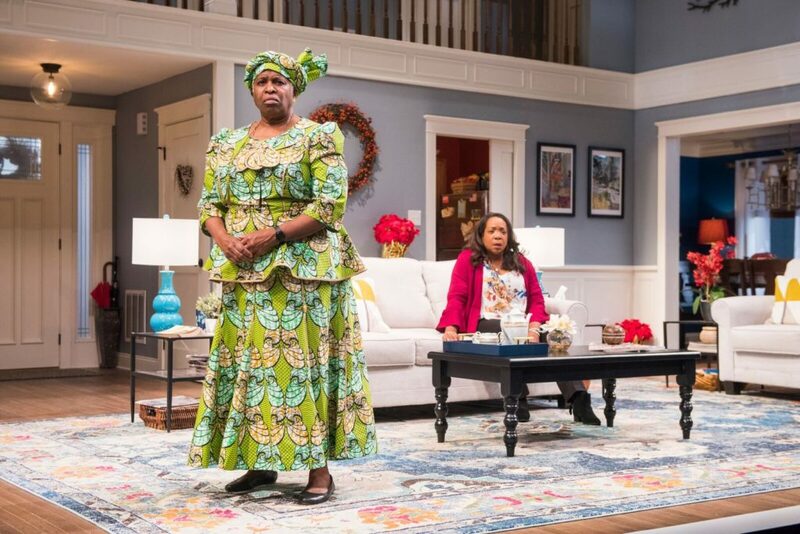 The aunties (played by Cheryl Lynn Bruce and Jacqueline Williams) initiate an African ritual that feels like a con. The drama is soaked in comedy. Taymor uses a superb ensemble to give life to Gurira’s richly layered story. The family’s interactions are authentic.Their entanglements are deeply rooted in both their history and identity. When a commanding Jones loses it, I’m right there with her. I’m connected to the sadness and the truth. When Jones and Young dance to Cooper’s song, I’m tethered to the significance of the moment and the action. I loved FAMILIAR! It may start out familiar but it swerves into unfamiliar and poignant territory.